If you think that your garage has to be a cold, dark storage container where you park your car and abandon your tools, you are living in the dark! 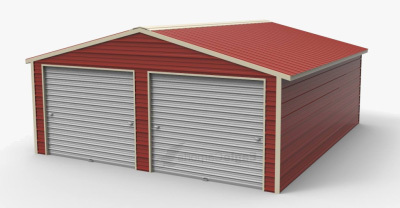 Your garage is additional square footage in your home and can become whatever you can dream. If you have a detached metal garage, you likely have more windows and some outside space to include in your design options. 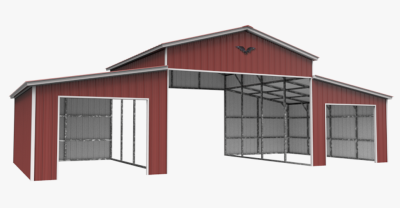 Here is a brief list of some cool things you can do with your garage. Who says you have to have cold, grey, concrete floors? If the only accent to the floor is oil drippings or overspray from old painting projects, you are seriously underestimating the potential of this space. Finishing the floor of your garage can be as simple as sealing the cement to as elaborate as installing decorative hardwood floors. Polymer flooring is a great option to protect your cement floors while also making them look great. There is nothing wrong with the typical fiberboard overhead door, but to give your garage more curb appeal and be the envy of all your neighbors, give your garage a facelift with a new door! Barn style doors are popular today and look gorgeous. Another option is the classy carriage-style coach doors that open like french doors and can be made from wood or steel. Don’t worry, they also can be automatic! There really is no better way to keep organized while making your garage look chic! Instead of opting for the particle board cupboards that are commonly found in garages, spring for cabinets that you’d be proud to hang in your kitchen. There are many options for manufacturers and style, so shop around to find the perfect cabinets that look beautiful and don’t break the bank. If your garage walls consist of exposed wall materials, it’s time to finish the walls! To do it yourself, put up insulation, cover with sheetrock, tape and plaster joints, then paint. Paint the walls a warm color to add brightness and a little life to your garage. Finish your walls with cabinets, storage racks, and some decor that makes your garage appear finished and comfortable. 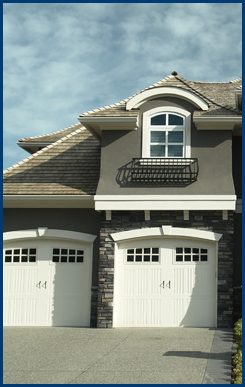 Detached garages offer much more appealing finished walls, perfect for hanging decor on for extra flare. 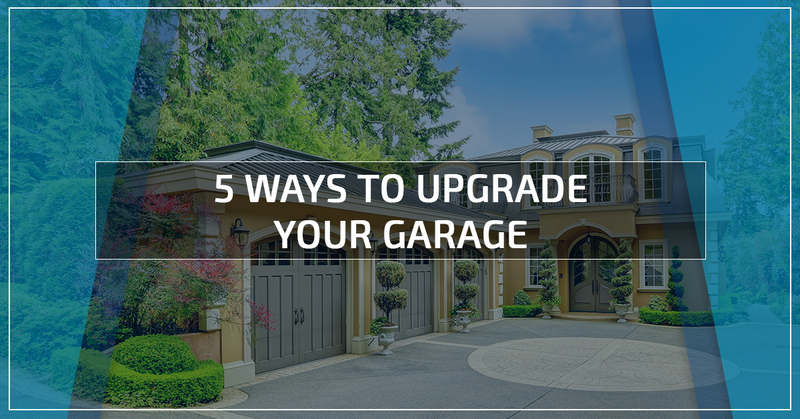 No matter what you use your garage for, furnishing it can make it more functional and aesthetically pleasing. If you use your garage as a home office, put a bookshelf and your desk arranged nicely. If you use your space as a storage unit, installing cabinets and shelves can help keep you organized. If you use your garage for your car and its maintenance, adding a workbench and an entryway table can make your garage a functional workspace. If you enjoy carpentry, make a table that can continue to inspire you and include a chair or bench in your decorating plan to take a seat during a break or take time to think and admire your work. Your garage shouldn’t be the dark, abandoned storage unit in the corner of your home, it should be an extension of your home. Give your garage the attention it deserves by adding finish and decorating it. Your garage is valuable square footage in your home, don’t let it go to waste! 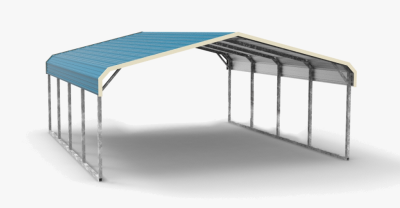 If you don’t have a garage or need extra garage space, contact us at Wholesale Direct Carports, the premier manufacturer of detached garages in North Carolina. Delivery and expert installation are always included, but we leave the interior decorating up to you!